For many trainers as well as learners, compliance training is kind of a necessary evil. We all know that regulatory compliance is crucial to our organization’s success, but at times compliance can feel like an abstract and even boring topic. In some cases, it may not be clear how compliance relates to our everyday jobs. Sometimes the opposite is true and compliance can seem like a no-brainer. In any case, it’s tricky to find the right way to keep trainees engaged with this topic. One reason why compliance is such a tricky subject is that trainees often do not fully understand the objective. This is a major obstacle that needs to be overcome to ensure your course is effective. The best way to start is by creating clear learning objectives. These are straightforward, simple statements at the beginning of your course that clarify exactly what the point of the course is. These let the learner know what they will take away from the course, and how this knowledge will benefit them. Especially when dealing with abstract topics like compliance, it’s essential to keep your objectives very specific. Don’t say: “This course prepares you to comply with data protection legislation”. Another useful model for creating clear objectives is SMART. Always make sure your objectives are specific, measurable, achievable, relevant and timely. 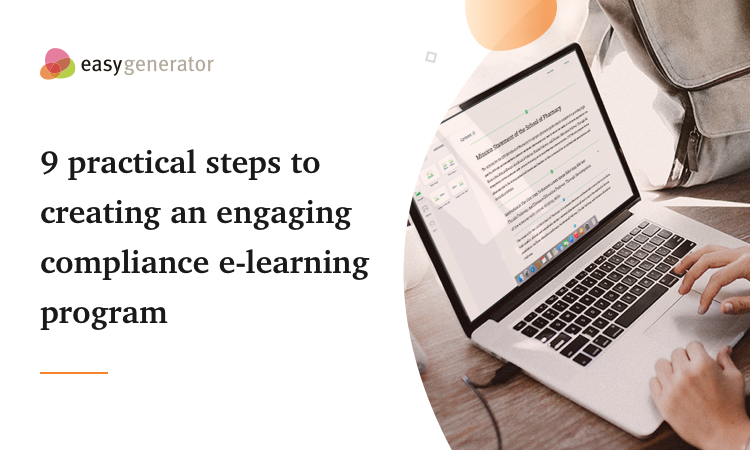 Easygenerator has also developed a handy tool for creating effective learning objectives. 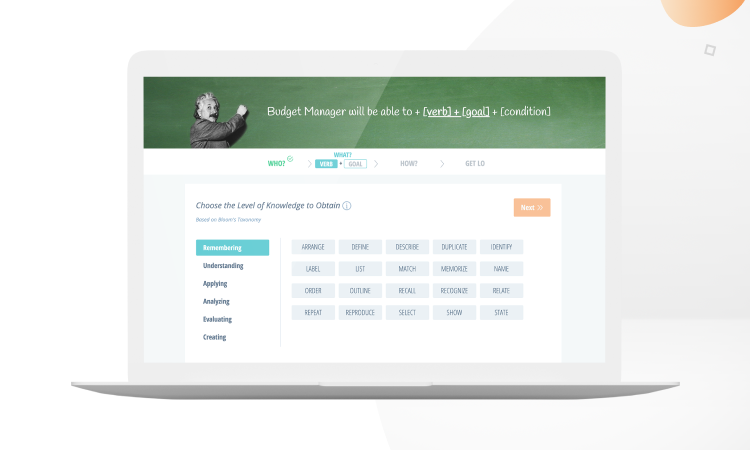 Check it out here: The Easygenerator Learning Objective Maker. Read the second part of this 5-part blog series.